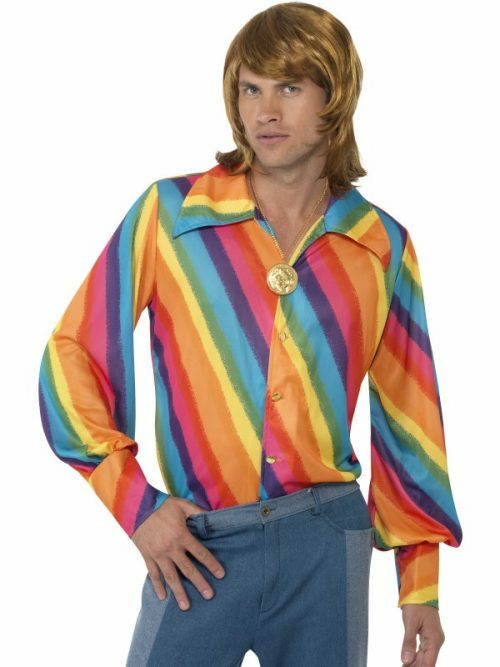 1970s Colour Shirt, Rainbow Not Applicable 100% Polyester Adult size fancy dress costume. Not for children. Dyes may not be colourfast. Warning! Keep away from fire. 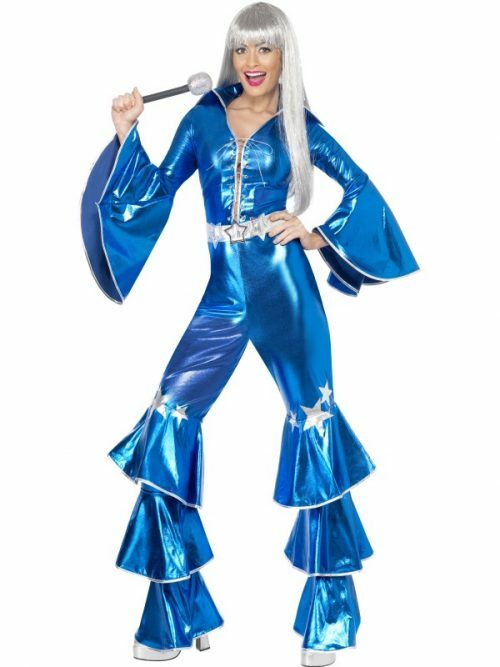 1970s Dancing Dream Costume, Blue, includes Lace up Jumpsuit Not Applicable 100% Polyester Adult size fancy dress costume. Not for children. Dyes may not be colourfast. Warning! Keep away from fire. 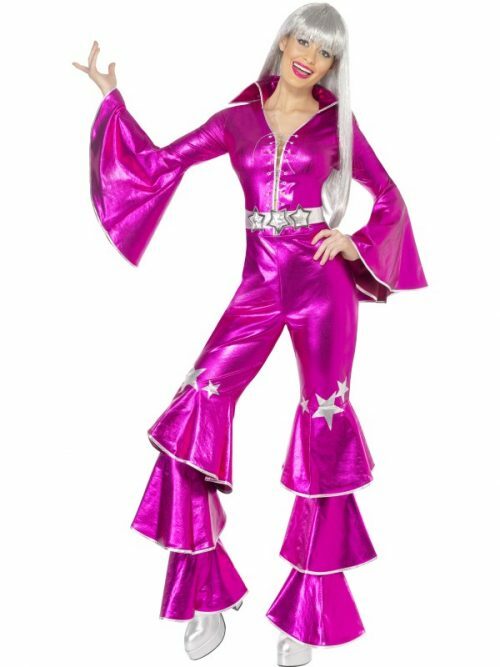 1970s Dancing Dream Costume, Pink, includes Lace up Jumpsuit Dry Clean Only 100% Polyester Adult size fancy dress costume. Not for children. Dyes may not be colourfast. Warning! Keep away from fire. 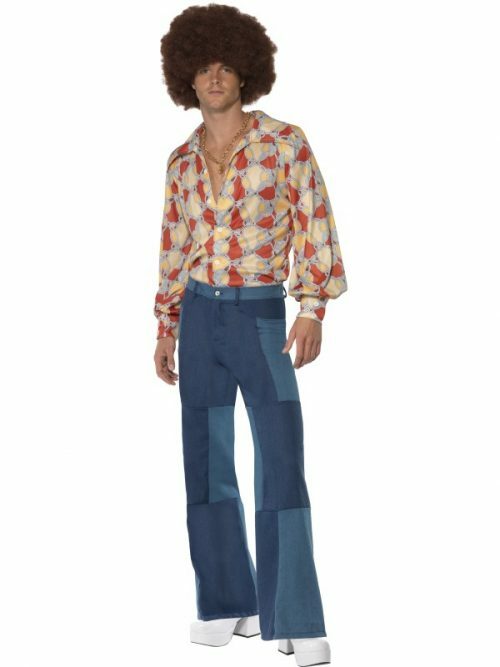 1970s Retro Costume, Blue, Shirt and Patchwork Denim Trousers Dry Clean Only 100% Polyester Adult size fancy dress costume. Not for children. Dyes may not be colourfast. Warning! Keep away from fire. 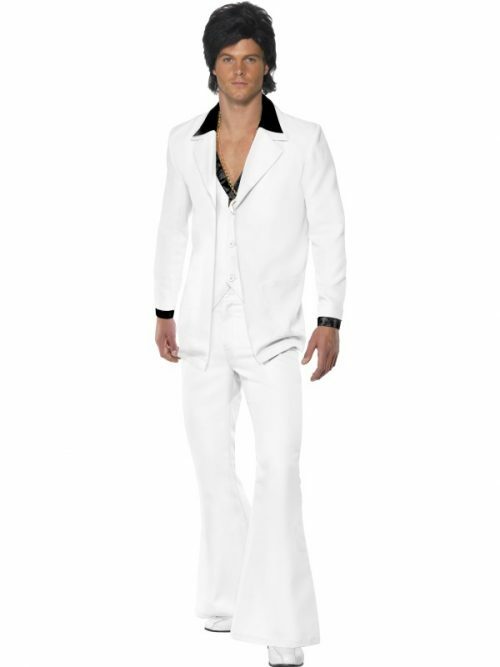 1970s Suit Costume, White, Jacket with Mock Shirt, Waistcoat & Trousers Dry Clean Only 100% Polyester Adult size fancy dress costume. Not for children. Dyes may not be colourfast. Warning! Keep away from fire. 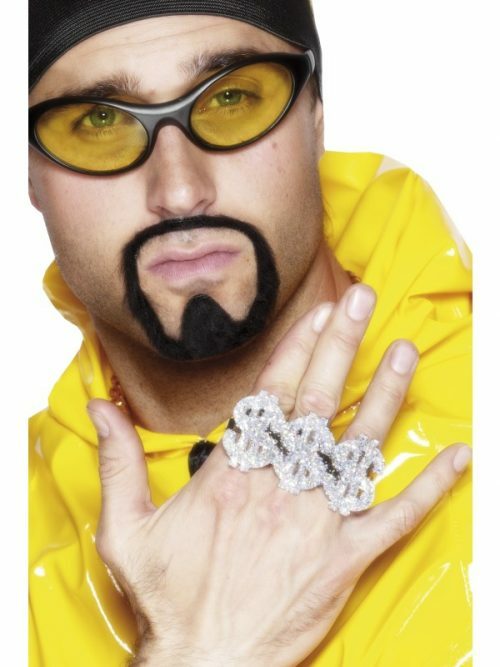 3 in 1 Dollar Rapper Ring, Silver Not Applicable Adult novelty. Not for children. Do Not ingest. 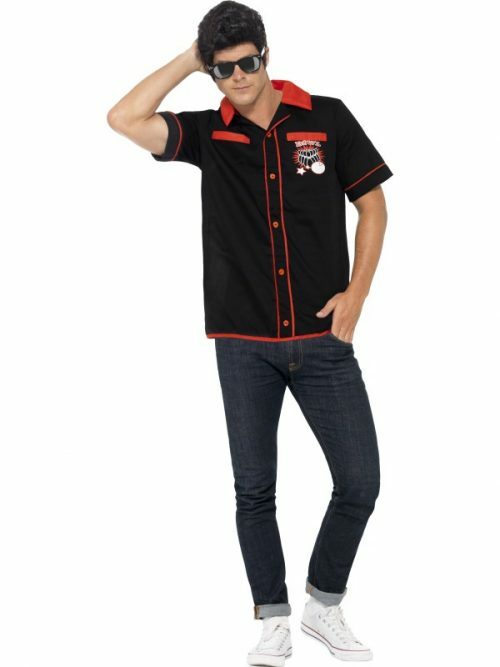 50s Bowling Shirt, with Strike It Lucky Motifs Dry Clean Only 100% Polyester Adult size fancy dress costume. Not for children. Dyes may not be colourfast. Warning! Keep away from fire. 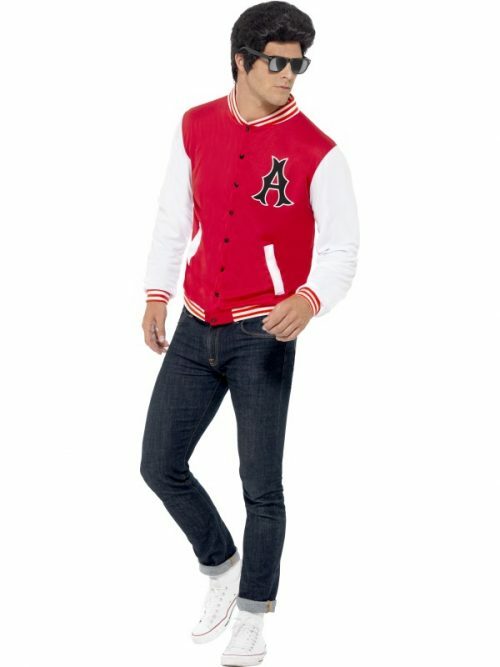 50s College Jock Letterman Jacket Dry Clean Only 100% Polyester Adult size fancy dress costume. Not for children. Dyes may not be colourfast. Warning! Keep away from fire. 50s Diner Girl Costume, Pink, with Dress & Mini Hat Dry Clean Only 10% Cotton, 90% Polyester Adult size fancy dress costume. Not for children. Dyes may not be colourfast. Warning! Keep away from fire. 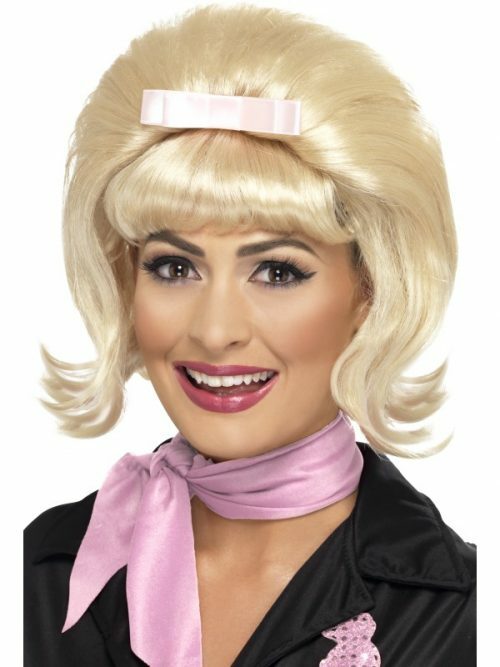 50s Flicked Beehive Bob, Blonde, with Ribbon Bow Not Applicable This item is a fancy dress accessory for adults. 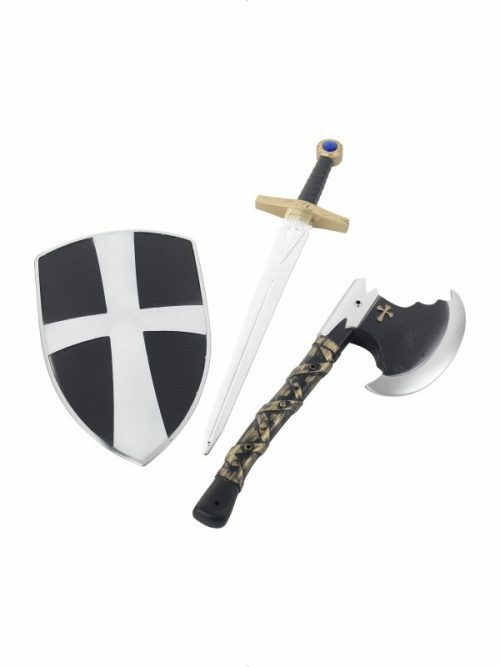 It is not a toy. Warning! Keep away from fire. 50s Flicked Beehive Bob, Black, with Ribbon Bow Not Applicable This item is a fancy dress accessory for adults. It is not a toy. Warning! Keep away from fire.